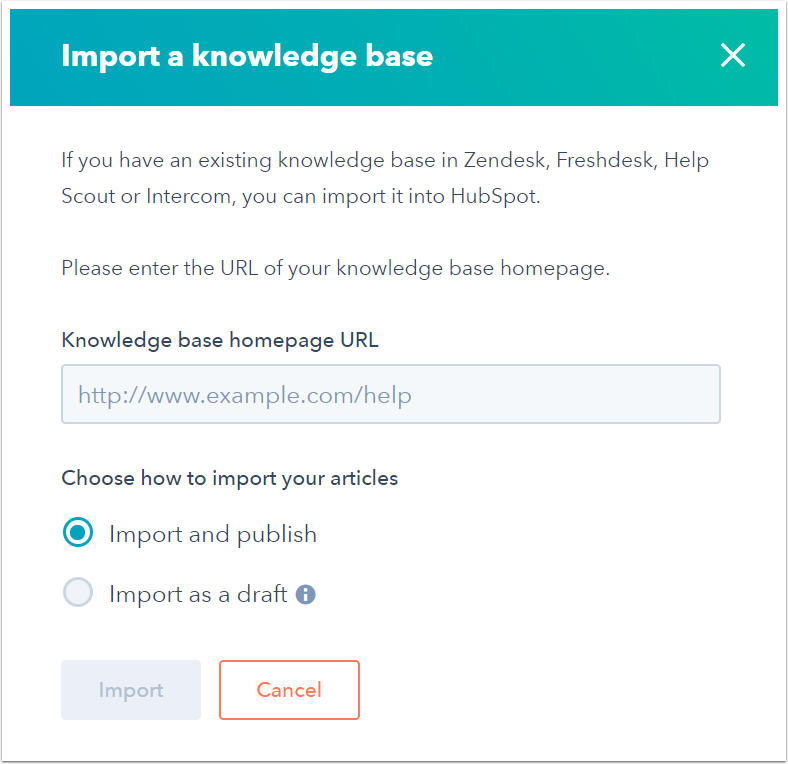 Import articles from your external knowledge base hosted on Freshdesk, Help Scout, Intercom, or ZenDesk, into HubSpot. In the left sidebar menu, navigate to Service > Knowledge Base. In the upper right, click Import. In the dialog box, enter your existing external Knowledge base homepage URL and select how your articles are imported. Import and publish: the imported articles will immediately be published live for visitors to see. Import as a draft: the imported articles will be imported as drafts in your knowledge base and can only be seen once they are manually published. Please note: links between imported articles will only function once the articles are published live. Click Import. HubSpot will begin importing your articles. In your HubSpot account, navigate to Service > Knowledge Base. At the top of the page, view the import progress.